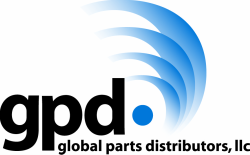 What do Cooling Fan Assemblies do? These fans cool the engine when the temperature reaches a certain level, or when a higher than normal load is placed on the engine. They surround the face of the Radiator and “pull” air across it, which gives it a greater cooling impact. Why do Cooling Fan Assemblies Fail? 1. A simple reason for an inoperative radiator fan assembly could be something as simple as a blown fuse, or an inoperative temperature sensor (not telling it to turn on). 2. Internally, the fan motor has an armature and brushes that connect to make electrical current, which turns the fan blades in the assembly. Over time, the carbon brushes begin to wear, causing the fan motor to slow down. The slowing down of the fan motor affects its cooling performance, and can prompt the radiator to overheat or the A/C not perform at its full capacity. 3. 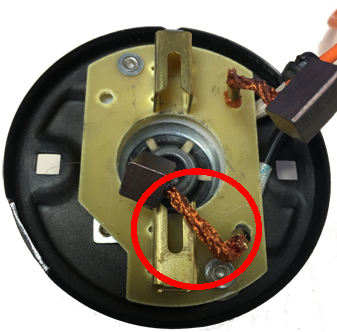 Electric motors on fan assemblies can burn out due to many factors such as: age, weather, and voltage changes. They can also acquire dirt and dust inside them over time. The implications of an inoperative fan assembly can cause the engine to overheat, and the A/C to not work. Figure: 1.1: Notice the carbon brushes that can wear over time. Figure: 1.2: This is the armature that connects to make the electrical current.